I’ve gotten a couple of requests for kyaraben now, and I greatly appreciate anyone taking time to write me. But the thing is, I can only make what my boyfriend likes for kyaraben. It’s not that I won’t, but I really can’t. I have to “get “what I make. Some people think I’m creative, but I’m really not! I’m just good at copying stuff in a nerdy way. In order to transform 2-D art into bento, I have to understand what makes it “it”. But some of the requests I got were anime related, and I’ve watched those shows, so I decided to make an exception, and do a how-to. This was a request by an 11 year-old girl I received quite some time ago. 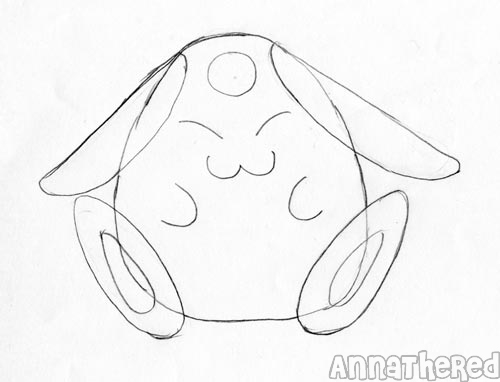 Mokona is a rabbit-like creatures from CLAMP’s sister series Tsubasa: Reservoir Chronicle, xxxHolic, and Magic Knight Rayearth. The first thing I thought of was a Mokona rice ball, but she mentioned that can’t get Asian groceries where she lives, so I decided to make it with bread. 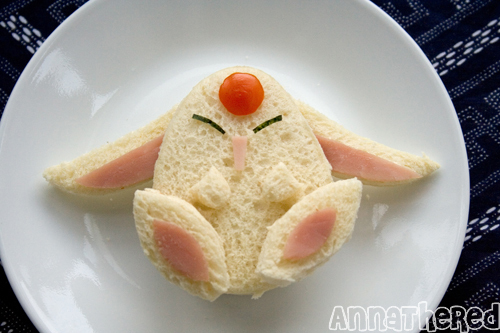 Before you start, print out/draw/trace Mokona on a paper, and keep comparing your sandwich to the drawing. It really helps! Even something like this helps a lot. 1. 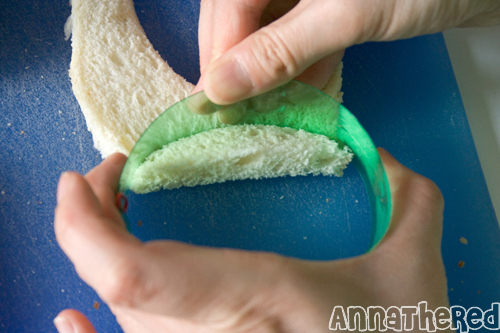 Use a strip of cut out plastic bottle to cut bread into a pear shape (2 pieces). 2. 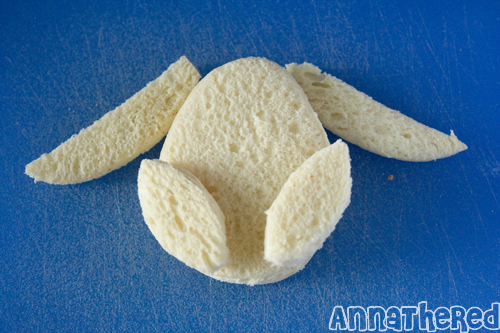 Use the strip of cut out plastic bottle to cut bread for the ears (2 pieces). 3. 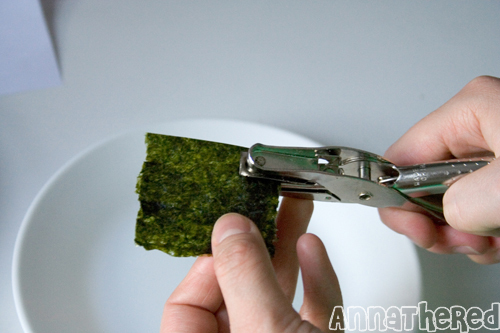 Use the strip of cut out plastic bottle to cut bread for the feet (2 pieces). Tip: Keep comparing to your drawing/print out as you cut the ear and foot pieces. 4. 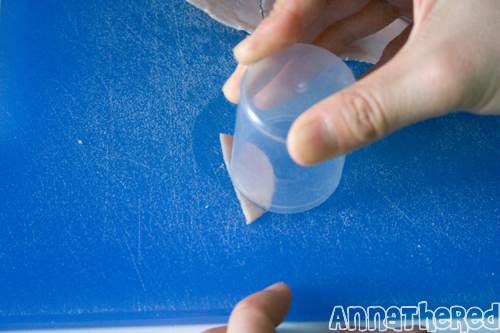 Use the strip of cut out plastic bottle to cut ham slightly smaller than the ears (2 pieces) and put it on the ears. *You can put mayonnaise on the ham before putting it on bread, so it won’t shift around. 5. Use a plastic cap OR strip of cut out plastic bottle to cut ham slightly smaller than the feet (2 pieces) and put it on the feet. *You can put mayonnaise on the ham before putting it on bread, so it won’t shift around. 6. 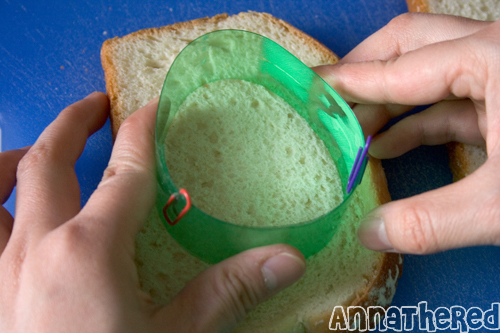 Using a plastic cap OR strip of cut out plastic bottle to cut bread out for the hands. Mold it with your hands if necessary. It's easy to mold bread with your hands. 7. Put whatever you want between the body (I put ham). Then pinch the tip of the ear to make the bread flat, and put it between the body. 8. 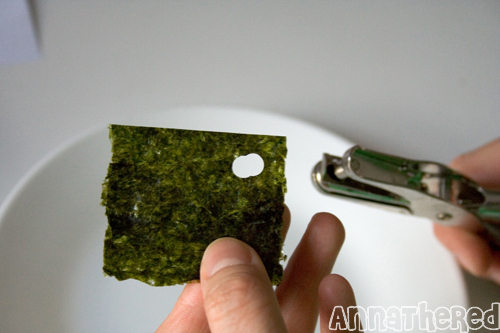 Cut a thin strip of seaweed with scissors for the eyes, OR use melted chocolate to draw the eyes. ...and it'll make a circle and a " c " shape. Carefully place two " c " to make her mouth. - OR cut ham with a butter knife to make her mouth. 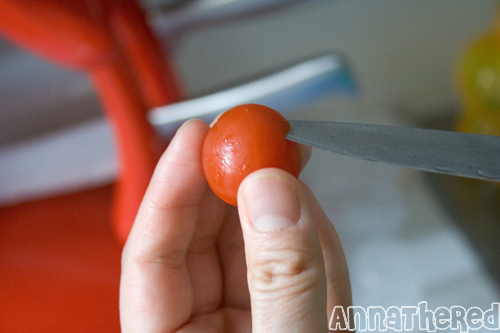 I don’t know if you can call this a “how-to”, since there are lot of instructions like “cut like this”… I mainly used a strip of cut out plastic bottle to cut bread, but if you don’t have a plastic bottle handy, be creative and use stuff around you! Also, I ended up using seaweed on my Mokona, but if you don’t have access to seaweed, look around and see which food you can use. Super cute! I love makona that is fantastic! 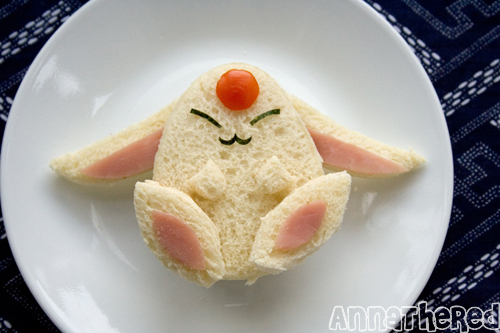 this makona sandwich is so cute…..
you are so great !! Thank you so much for the tutorial on using household items for cutting tools–I’m really excited to try some of your techniques soon! If you let me know when you get some other FUNi related bentos, I can always do a post about them. I am definitely going to make this tonight. Unfortunately, I too do not have regular access to Asian-style groceries, but I’m hoping to rectify that. 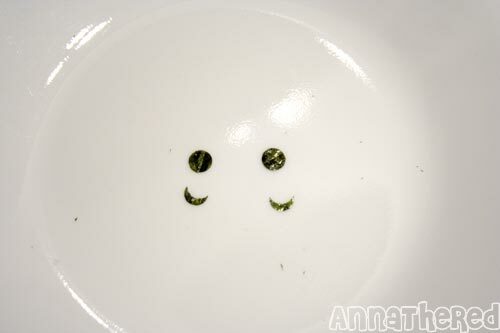 By the way, I love love love your blog and bento creations! I made my very first bento today and I’d like to tell you that you inspired that.